The following is a list of book-length studies on Late Modern English letters, from a linguistic, discourse-analytical or sociohistorical perspective. Additions are very welcome. Fens-de Zeeuw, Lyda (2011). Lindley Murray (1745-1826), Quaker and Grammarian. Utrecht: LOT. Fitzmaurice, Susan (2002). The Familiar Letter in Early Modern English Amsterdam/Philadelphia: John Benjamins. Sairio, Anni (2009). Language and Letters of the Bluestocking Network. Sociolinguistic Issues in Eighteenth-century Epistolary English. Helsinki: Société Néophilologique. Straaijer, Robin (2011). Joseph Priestley Grammarian: Late Modern English Normatism and Usage in a Sociohistorical Context. Utrecht: LOT. Tieken-Boon van Ostade, Ingrid (2012). The Bishop’s Grammar. Robert Lowth and the Rise of Prescriptivism. Oxford: Oxford University Press. Tillyard, Stella (1994). Aristocrats: Caroline, Emily, Louisa, and Sarah Lennox 1740-1832. New York: Farrar, Straus and Giroux. 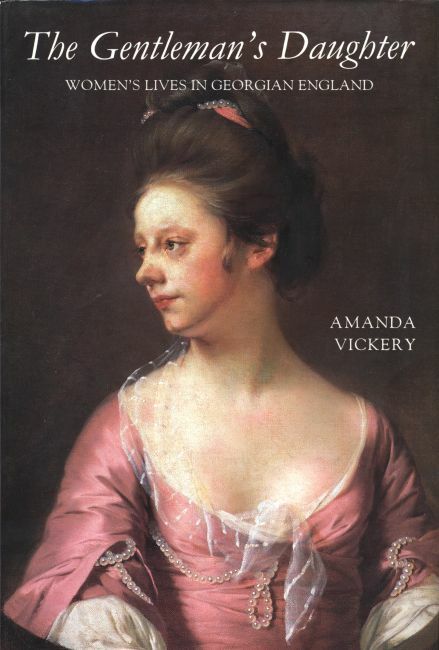 Vickery, Amanda (1998). The Gentleman’s Daughter. Women’s Lives in Georgian England.New Haven and London: Yale University Press. Whyman, Susan (2009). The Pen and the People. English Letter Writers 1660-1800. Oxford: Oxford University Press. This entry was posted in 18th-century letters, 19th-century letters and tagged bibliography. Bookmark the permalink.